Brand two in my list of vintage obsessions! 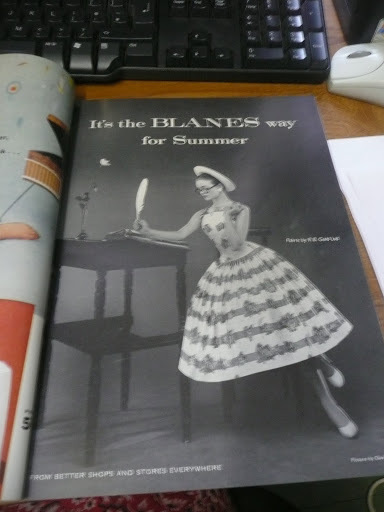 Blanes- Blanes produced mostly high quality evening wear throughout the 50s and 60’s (possibly onto the 70s- but I am yet to find an example). They did also produce some daywear, although I find you are less likely to come across this! 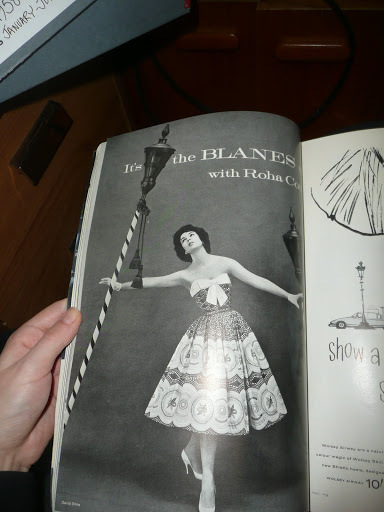 The two examples above prove why i LOVE Blanes and i am desperate to come across some good examples of their day wear. 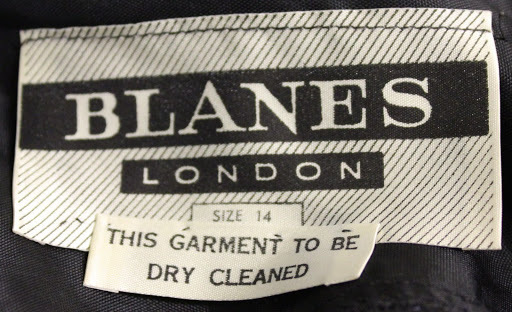 When i was at vintage @ Goodwood last year i saw an amazing novelty print dress by Blanes, but it was £150 and at the time i just didn’t have the money. I have regretted not buying it ever since! I personally don’t own any good examples of the brand. Normally for me this is a seller rather than a keeper as I find the dresses tend to be quite heavy. This is one I am selling at the moment. I believe it is an early 1960’s example. And this is one currently out on display at Portsmouth city museum. We believe it was never even worn! I fell in love with the 2 dresses in the ads you pictured when I saw them in one of my Vogues a while back, wonderful prints.